At the start of every year, since 2010, I have listed new ways to learn online. I collect these sites throughout the year and save them just for this very moment. So here is a list of ways you can take advantage of the vast knowledge available online, allowing us to appreciate how willing people are to innovate and share. Sound Gecko is pretty awesome. Using this app lets you listen to articles you find on the Internet. Simply enter the URL of the article you want to read and wait a few seconds for the application to generate the audio. I tried it with an article on this site and with the exception of mispronouncing my last name (what else is new? ), I found the synthesized voice reasonably easy to listen to. This could be a big time saver if you have lots to read and little time, which is probably most of you. Sound Gecko is available online and as a mobile phone app. There are great educational videos on YouTube but you don’t have time to watch them. Ripping the audio from those videos is the answer to that problem. YouTube to mp3 is one of several online applications for converting YouTube videos to MP3 files that you can download and take with you. Simply enter the YouTube URL and click the Convert Video button. The application extracts the MP3 (there is processing time) and then gives you a link to download the audio file. It’s not exactly a pretty site, but it works. A photo essay is more than a gallery of photographs. The images (and often words) are tied together to express a narrative or chronology that transports the viewer to another place or event. Here is a list for finding some of the most compelling photo essays depicting life and issues around the world. Carly is a young woman living with autism who co-authored the book Carly’s Voice: Breaking Through Autism. 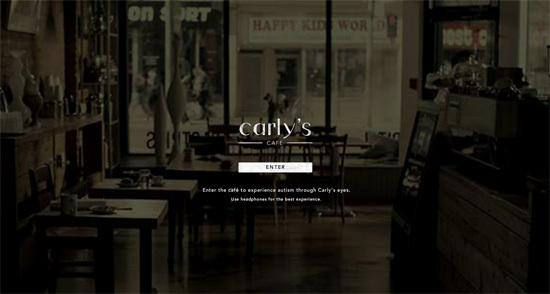 To help promote her book, they have created this video experience of what it might feel like to live in Carly’s world, giving users a first-person point of view into Carly’s experience. I just wish there were more controls for pausing and navigation in the interactive version. Noteflight is an application for composing music in your browser. You can write music, see the notes, print them and play them back. The free account for individuals allows for 10 compositions. Be sure to select the Individual account. If you want to get your science straight, try these sites for starters. Explore the many interactive experiences from Nova, which cover a wide range of science topics. Play with The Scale of the Universe. Listen to the Nobel Prize Talks Podcasts. Read Stephen Hawking’s lectures and watch his videos. If you haven’t visited an online library, try it in 2015. You can download or view eBooks in a variety of formats. The Open Library has a huge classic literature collection. Other choices for free reading include: Questia, Internet Public Library, and Authorama. A well-known site, mentioned in a previous year (I think) is Project Gutenberg. Finally, if you don’t have an eReader, check out Books In My Phone, which is a service that packages books to be read on small devices. With access to all these books, you might want to learn to read more quickly. In that case, check out Spreeder. Experience the sense of liberation that comes from learning how to fix a digital device, an appliance or vehicle on your own. Find manuals, guides and a community at ifixit. Learn repair skills and self-reliance. Celebrate the beautiful diversity of this planet by visiting online embassies to learn about other countries. Here is a list of embassies in the U.S. For world facts, believe it or not, you can visit the CIA’s World Factbook for maps and comparative statistics. Also, use the maps at GeographyIQ to access factual information about the world. Zotero is for people who need a better way to collect and organize research. In addition, Zotero fosters community by organizing groups of people by research topic, making it easy to find others with similar interests for sharing and collaboration. Share your favorite ways to learn online below in the Comments section. Keep up with your field! Get The eLearning Coach delivered to your Inbox every month, with ideas, articles, freebies and resources. Wonderful collection of new things to try. Thank you Connie! I’m glad you liked this. Happy learning! I found your site to be very informative. I am endeavoring to learn instructional design for adult learners at Walden University. I’m in my second week of classes and I am looking forward to beginning my new career. In my efforts to find out more about how people learn, I can say that I feel the SoundGecko you’ve included in your blog, could be a tool of choice for a lot of adult learners. With daily schedules becoming more and more hectic, this tool will definitely avail the opportunity to listen to articles while on the go, since it also has a mobile app. I’m wondering, though, if the use of the SoundGecko app, for the purpose of educational retention, will be effective enough for the majority of adult learners. According to “Principles of Adult Learning and Instructional Systems Design,” adults are in more of a position to be in charge of their learning processes. They enter the learning environment having a lot more knowledge and experiences than younger learners. Additionally, adults can be adamant about how they believe they learn best, even if they’ve never tested any of the other learning theories within their previous learning environments. 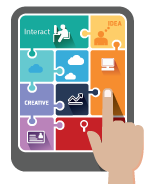 As a future Instructional Designer, one of my responsibilities will be to design learning tools in a manner that is most effective for the learner. Of course, given the app presented, and its potential use as an aide in an instructional environment, I believe that the SoundGecko will be beneficial, if the adult is an auditory learner. I don’t, however, feel that it will be as effective to the kinesthetic and visual adult learners. As I was reading your blog, I had re-read twice, once from my own perspective as a learner eager to see what you had posted and then again as an instructional designer to see what other avenues or different ways there could be for learning new information. For example, your first item about SoundGecko is excellent! I had never heard of it before, and with the material I work with, we always create two versions of an online course, one as an interactive course and then a print version (just words, no images, interactions, etc.) and I thought this SoundGecko could be useful for our users who may not want to read the article itself, but rather listen to it instead. It could be useful for some of the material I work with, but I mostly create courses for healthcare professionals, and this SoundGecko may not get all the pronunciations correct (just like myself! ), but overall I can see how it would be helpful if someone needed to multitask. They could put this on and then continue to do other things. Pretty snazzy! Thanks for sharing your finds with us! You’re right, I wouldn’t count on a synthesized voice to get all the medical pronunciations correct. I hope you enjoy your experiences with Sound Gecko. I can’t say how effective it will be. But I do know that I seem to get a lot out of listening to podcasts, particularly when my attention is not split. So much to research and learn. I really liked the ideas you put forth here! Some I would never of known about such as the SoundGeko application but I am now eager to give it a shot. I have students in my high school math classes that are from all spectrums and something like this could be very beneficial for my students that struggle with word problems. It is perpetually a weak point in math and something that could read the questions to them could be key as there is only ever one of me while there are 25 of them in my room. I have never used the youtube mp3 conversion tool before but I do have some friends that have used it to get some songs and things off the internet. Using it for the classroom or for me to be able to keep up to date with new materials and ways to incorporate new things that just take too long to watch at times is a great idea. I will have something new to listen to during my workouts now! Lastly I am very interested in the Autism experience site that you sent to me, I know my colleagues would be very interested as well to see how they utilize the internet to demonstrate the difficulties that the students with Autism must go through on a daily basis. My mother has worked for an Intermediate Unit for quite some time now and I know she and her colleagues will enjoy this as well. Thank you for sharing such awesome materials! Wow. Thank you for the in-depth comment, Josh. I had completely forgotten about that article and now I want to go back and check out those sites. I hope all the links still work. I am so happy that any of these sites can help your students.